No matter how hard you try to protect your bunions, they’re probably going to progress and worsen without proper treatment. Before your bunions start affecting your daily life, find out how the caring podiatry team at Animas Foot & Ankle in Durango, Colorado, can help. Schedule your bunion evaluation by requesting an appointment online or by calling your closest office directly. When it comes to bunions, your footwear is often to blame. Regularly wearing pointy shoes, high heels, or shoes with a small toe box can all contribute to the development of bunions. Each time you slip on those snug shoes, your big toe gets pushed out of proper alignment. If you wear those shoes regularly and your big toe continues to get pushed into your smaller toes, your toe joint actually starts to change shape — permanently. This is why you develop that large bony bump on the side of the base of your toe. Because bunions are progressive, meaning they’re only going to get worse without proper treatment, it’s important to see your podiatrist as soon as you start noticing a bunion forming. Plus, if you have a bunion, you’re highly likely to also develop a hammertoe, which is a joint deformity that most commonly occurs in your second toe. No matter how minor or how severe your bunions may be, you have plenty of treatment solutions available at Animas Foot & Ankle. Although you can certainly get relief from a throbbing bunion with these therapies, they won’t correct your bunion. If your bunion is getting worse, or if conservative treatments aren’t enough, it might be time to consider bunion surgery (bunionectomy). 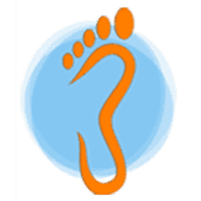 During your customized bunion surgery, your dedicated podiatrist can realign your affected joint and remove any damaged tissue. Because the team at Animas Foot & Ankle uses advanced minimally invasive techniques for bunion surgeries, you can expect a faster recovery. Book your bunion exam at Animas Foot & Ankle today. Click on the online scheduler, or call your nearby location to book.